Whatever may be your industry or product, our automated photo capturing tools will allow you to create on your own product images and in a few minutes all your product visuals will be available for your website, products catalogues or whether you want them. 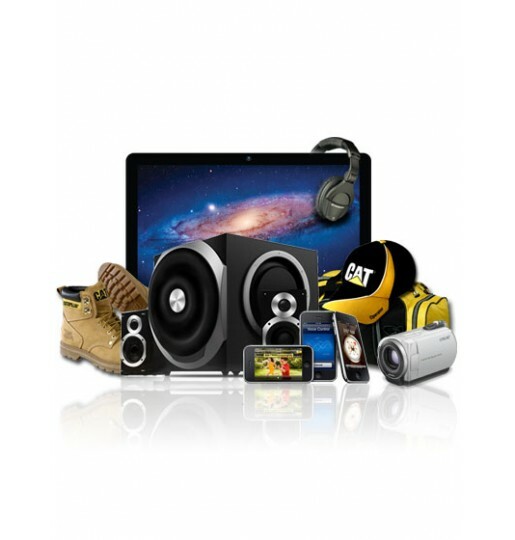 Household products, footwear, craft gifts, toys, electronics, medical equipment etc. This is the first all-in-one 360-degree product photography intelligent equipment in India, which includes automated 3D imaging software and hardware (Smart and portable studio). You only need to be equipped with a camera and a computer, the software will automatically control the camera 360 degrees to shoot sampling. And it will only take three steps to synthesize gif, swf, avi, html5 and other formats for products animations. This computer-controlled product photographic studio shoots still images and 360-degree product views with pure white backgrounds. 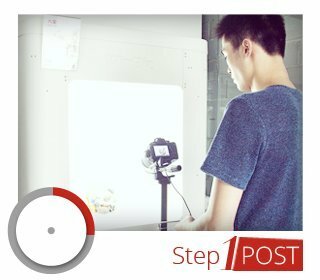 Featuring flexible LED lights, a built in motorized transparent turntable, a compatible Canon or Nikon DSLR camera and image creation software the entire photography workflow can be simplified and streamlined. Anyone can use this device to create professional results, no professional skills needed. WinBiz always keeps things simple! Just a few clicks and you can take nice pictures and 360 degree animations. Everything can be finished in 4 minutes! The result is 360 degree animations in swf, gif, avi, html or jpg format. It only takes 3 steps to achieve a 360 degree animation. In 4 minutes! Simply place a product inside, compose the picture while previewing in real time on the monitor, pre-crop, and then click Snap. The image is automatically downloaded and displayed on the monitor screen within 2 seconds for viewing and processing. 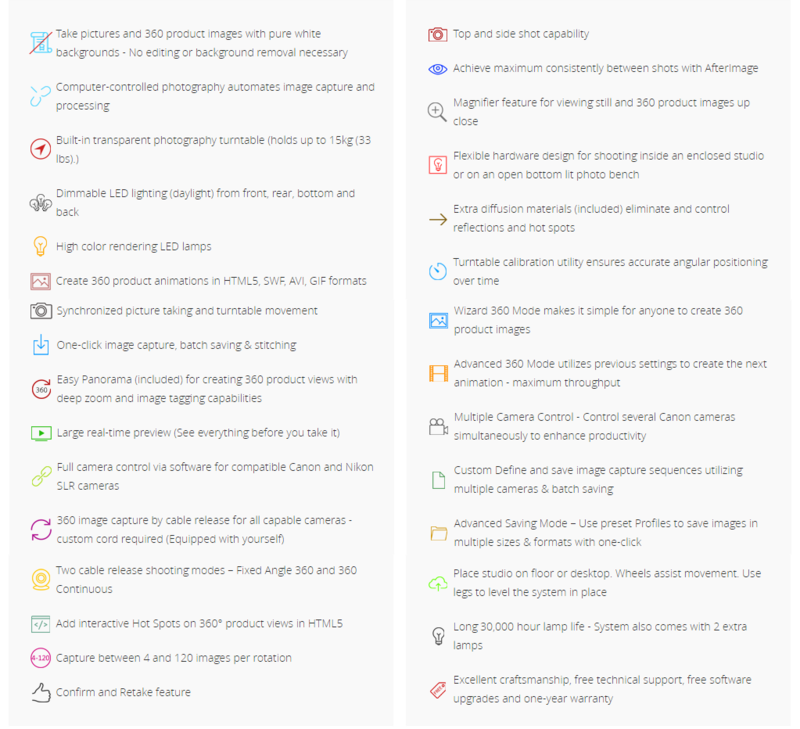 Batch processing available for multiple images. of still photos. For example, use the system to automatically take 7 pictures of an item from the sides and top. Once the sequence is created, it can be re-used. In the same way, users can change the background to different colors according to your needs. Type B is little heavier than series A still quite light, you can take it along with you and take pictures for little products. Like household products, footwear, craft gifts, toys, electronics, medical equipment etc. As long as the product is ≤45kg, you can easily make the animation with current device. 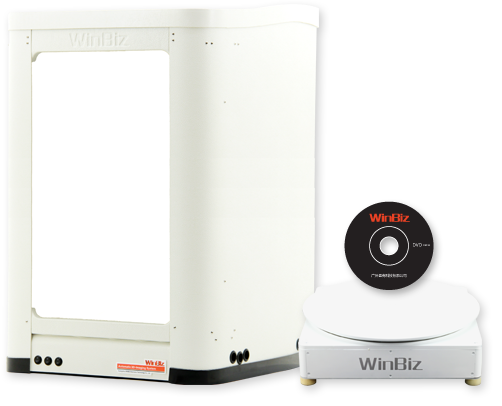 WinBiz gives multiple Formats for animation. and supported by all popular systems like Windows, IOS, Android etc. We use the first-class air freight service, you will be in the shortest possible time to receive your goods and put into use. The security and stability of our packaging, can withstand the pressure to 300kg, most accidents occurred in dealing with international logistics, ensure that your goods safety integrity at. Various benefits are listed below and there are more. 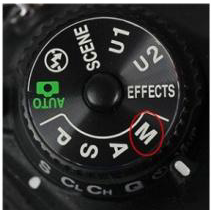 Set camera aperture, shutter, and ISO as per specific product. 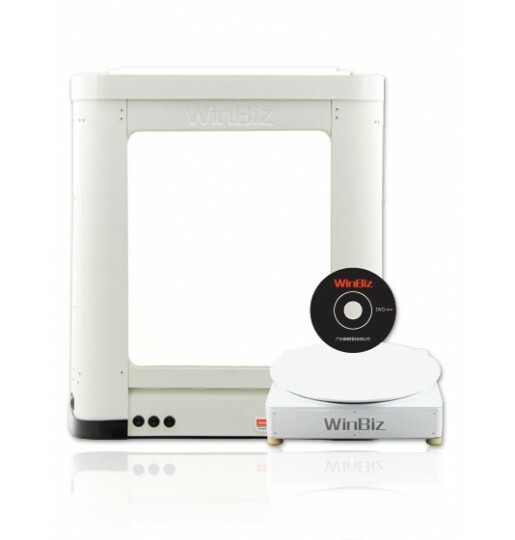 If WinBiz 3D light box is used for shooting, recommended parameter values are as follows: 【Aperture: F10; Shutter: 1/10; ISO: 100; White balance: AUTO】 Aperture and shutter will change with products, depending on actual circumstance. 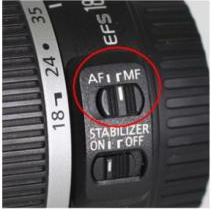 Although AF mode can help focus quickly, it is likely to be out of focus if the shot object has a smooth surface. In order to prevent this issue from happening, it is advised to change camera focus to MF mode before shooting. 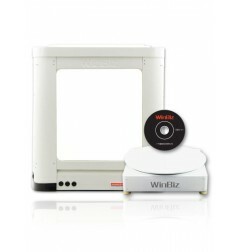 WinBiz brings your products to LIFE online. and some creative presentations will only take a few minutes more and be more different and eye-catching. What is 360-degree Auto-imaging System? 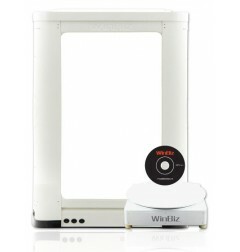 WinBiz Automatic 3D-imaging system is a technical set of display equipment of product. 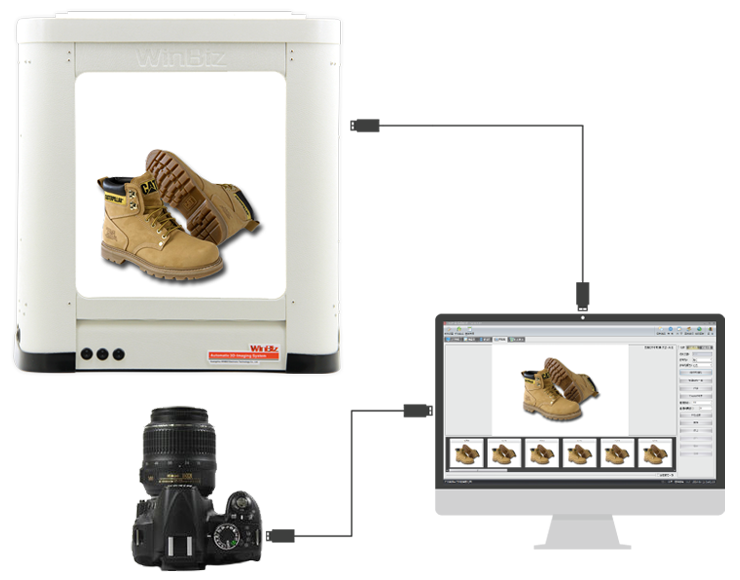 You just need to put your products into the photo studio, you will get a 3D animation within 4 minute. The animation can be uploaded to the website easily. The client can have a look on the animated video and get the idea in detail of products. Greatly improve the user’s experience, thus increase the product sales. 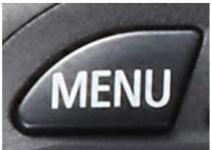 What are the features of 360-degree Auto-imaging System? It only takes 4 minutes to finish a 360-degree animation. There are 3 steps: display the products-click the camera-save it. You don’t need a professional photographer, everyone can do it. It saveS the money which wasted on the photographer and it’s easier and cheaper than the traditional procedure. The complete automation is only a simple operation, it can be operated by one person. Compared with the traditional picture show, what is the special features of 360-degree animation? We can see the 360-degree display of the product everywhere over PC or smart phone per our convenience. Customers can experience truth product with every angle and detail, to enhance the user experience, so that customers feel products much more reliable. Break the traditional graphic display, a unique 360-degree animation will leave deep impression to the customer. comprehensively promotes enterprise image and product image. 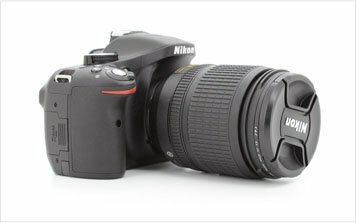 Can everyone use 360-degree Auto-imaging System if he/she doesn't know photography? 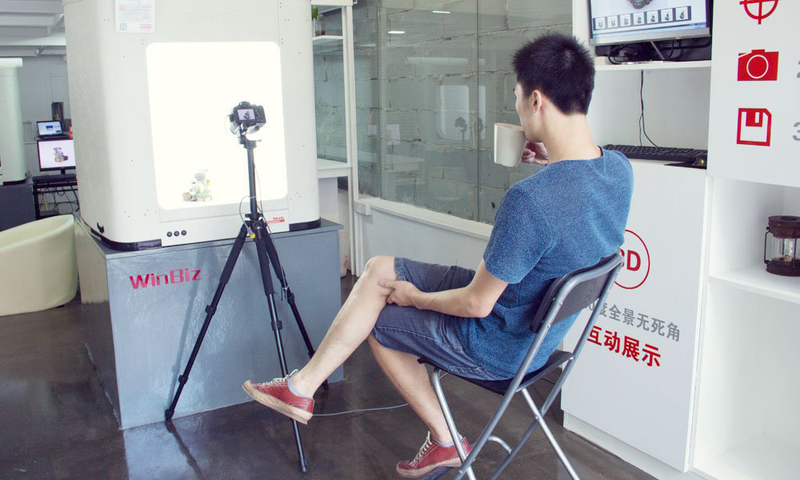 360-degree Auto-imaging System is designed for all people and everyone can use it easily. 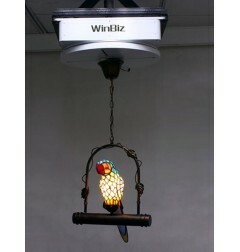 The software comes with Live-View function, every user can grasp a definition and brightness about the product easily. 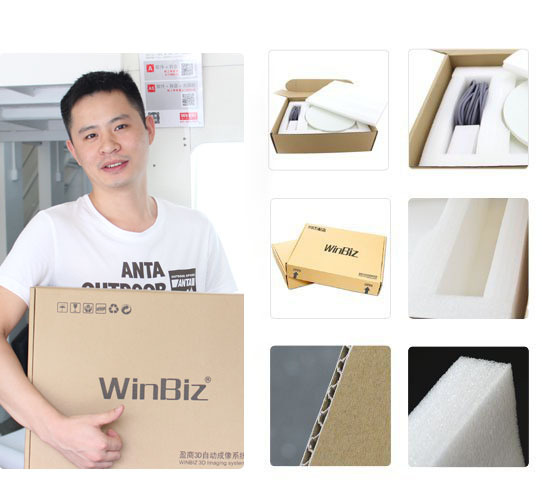 And WinBiz offers one on one customer support to ensure our customers can operate the equipment well, you can completely take it easy and just contact us if you are in need of assistance. Is there any requirement for the volume of shooting object? The system only limits the product weight, the volume is mainly related to the size of shooting setting. What kind of cameras does automatic 360-degree-imaging system support? Generally you can use all kinds of cameras, because the software can control the turntable alone, then you can manually shooting images and making animations. However, if you want the software full automatic control the camera , you must use Canon EOS or POWERSHOT camera. You can learn more by reading our adaptable camera list. What is the animation's format ? There are three formats, including SWF, GIF, AVI, HTML and the software also can separate extraction JPG single pictures. According to your needs, you can choose different format of animation application on the network. Does the 360-degree animation user need to install special plugin? No, our system just requires the users to have a SWF player in the computer. As we know, 96% of PCs already install the software SWF, so you don’t have to worry about the functions of our system, it will work well in your computer or laptop too. Is your product free shipping to my country? Sorry, the price we listed online is only for the whole bundle of software and hardware, you are supposed to take care of the shipping fee yourself if you can’t fetch the product yourself. We can send the product according to the shipping method you require and you take care of the shipping fee yourself. 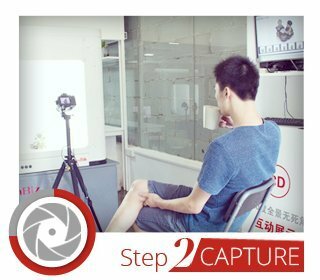 How to purchase a 360-degree Auto-imaging System? If you are ready to place an order, you can simply add the bundle you want to order into the shopping cart and proceed to place an order online. Jewelry, watches, gifts, electronics, shoes, glasses, skin care products, small accessories etc. Clothing, Models, furnitures, household products, electrics etc. Chandeliers, pendants, plants, upside down products etc. 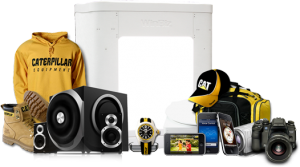 Winbiz is the pioneer supplier of significant and cost effective 360° & 3D product imageries. Evolved by the innovative experts holding the perspective with the concept of better product photography inspiring to lead visualized online experience. 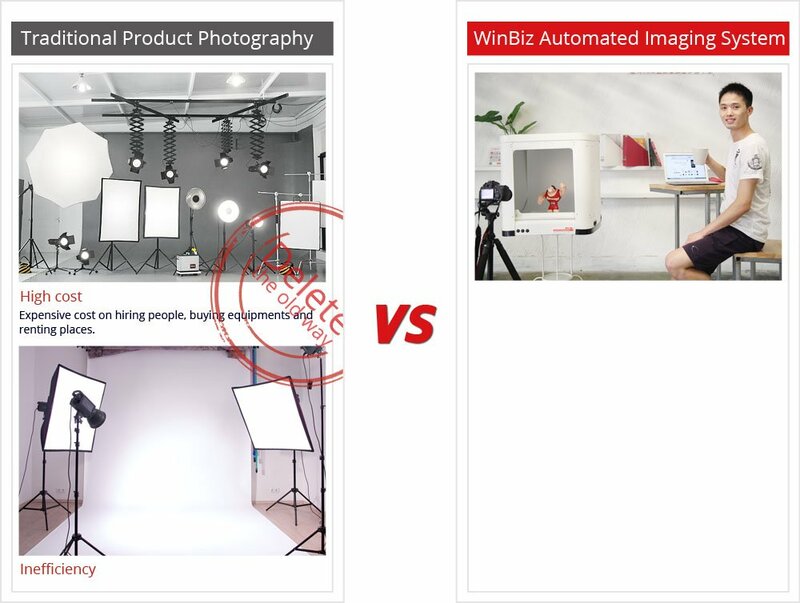 Winbiz delivers complete photography services accomplishing new trends with the technology and precipitate traditional 360° & 3D automation. GLOBAL AUDIO TEXT SOLUTIONS LTD.